Each track is a pleasant surprise and a stylistic change from the last to a new, unanticipated direction. Despite being electronic, The Spiral Ep has more in common with a pop album than traditional techno variations on a theme or style. In fact, one would listen to the Spiral Ep the way one would watch European cinema; with no expectations, an open mind and an assurance that you won’t know what happens next. 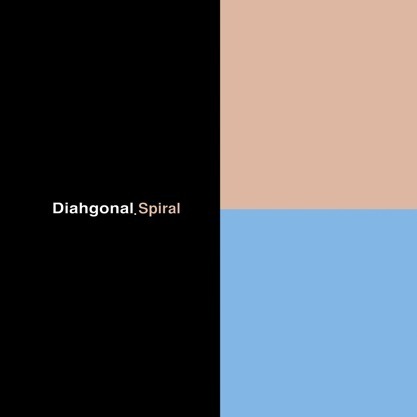 Styles on Spiral range from deep ‘n darker techno, to Industrial, to ambient-drone, to synth-pop that would make Depeche Mode proud to 4AD-esque goth pop and more... Diahgonal is the alias of graphic designer and studio engineer, Ruben Alonso Tamayo who co-founded the Static Disco label and the Cyan Recs netlabel, perhaps better known under the techno moniker, Fax. Opening “Lost” has modulating electro-chirps, then pensive beats while gentle synth lines wash over before a dark and heavy 4/4 trot-beat kicks in with industrial strength. “The Empty Night” follows with twangy, guitar-like textures before a deep, aortic preliminary beat pulsates while Detroit-techno style keyboard hooks with a touch-of-funk interplays with grooving beats. “Horizons” and “Buildings” could be considered the ambient and drone interludes, respectively; the former pierces ambience with beacon signals while the latter is spacious and a more sweeping drone. “Movement A” (and “B”) are the more dramatic pieces, the first opens with hypnotic undulating tones as restrained beats fade-in, then a bass-heavy club beat accompanies to rousing synth notes. The latter, “Movement B” is the stand-out track on the Ep. Dramatic yet catchy layered keyboard melodies loop with counter-melodies, then drum machines with a pulse beat combine to make something seductive, moving and memorable; a synth pop hit if there ever was one. “Awakening” concludes, recalling Robin Guthrie (Cocteau Twins) style guitar strumming, while major, Vangelis styles synth tones caps the Ep to a gentler, more tranquil conclusion. Though this is only an EP, it has the depth, variance and complexity of a good, full album and Stasis is adept at providing talent who delivers so much from so little. Anyone reading the title of this album and expecting a novelty tribute album to Doctor Who and K-9 And Company are going to be left confused and surprised by the barren, experimental, deconstructed art-pop that Stephanie Pan offers up here. Slow, plaintive, folky vocals, frequently multi-tracked, drift loosely over crisp and often sparse soundscaping built up of very stretched pad sounds, short-spaced electronic texturing, and fragile bell-like keys and tones- and there’s not a hint of the Ron Grainer theme tune in sight. The vocal exercise work here is both curious and impressive at times, with the stuttering evolving vowel sounds of “Songs For Words Unsaid” an entertaining disassembly of language, while the theatrics of 11-minute opus “Beast” bring to mind Kate Bush at her wildest and beyond. “Arbitrary Failures” stands out as slightly anachronistic, as its electric squeaks and bleeps spontaneously form into a steady and workable groove that’s rather Funkstörung-ish- it works, and hints at what Pan’s appeal could be with a gentle step towards more commercial electronica. Final track “Ron Adams”, by contrast, sees Pan propagate a unique and distinct sonic world all of her own. For gentle introspective listening, this really is something new, a recipe that teases together elements that you’re very familiar with but with a method and a performance ethos that makes it a really refreshing listen that draws you in to its boldly empty space. 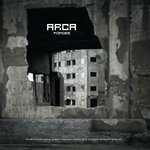 Arca is a project by Joan Cambon and Sylvain Chauveau which are already known as a solo artist and whose music stands in that sort of grey area between minimalism and pop music; this means that "Forces", a release inspired by people living in conflict zones all around the mediterranean sea, use the canonical musical cell of minimalism i.e., repetition, but some of other elements used are catchy. So the result could be described as experimental or pop depending on the criterion. While the first track of this release, "Noura Al Ameer", has a beat which fades as the background emerges and "Bayan Hout" is based around a glitchy loop tying together fragments of sound which evolve in a final dance, "Aliaa Magda Elmahdy" starts to introduce an central element in this release: quiet melodies vaguely catchy but not filling. "Wiam Simav Bedirxan" seems a loop but is a melody evolving by repetition orated by the insertion of a sort of old recording. "Ebru Firat" uses the same structure but evolves by accumulation of the layers with a break to avoid triviality. "Arieh Sandler" is an interlude for guitar and "Anonymous Nigerian Refugee" uses the samples of the voice of a refugee as a rhythmic structure isolating sentences. "Dahi Al-Musalmani" has a grave and solemn pace which evolves in the meditative atmosphere of "Damir Šagolj". "Ari Folman" and "Leyla Zana" are sonic miniature sounding as almost deriving from old records. "Paul Favre-Miville" is loop music and "Ossama Mohammed" is an ambient track evolving in a final lullaby. This is a release that tries to show its view on a issue which usually polarizes the audience without any rhetoric and this is obtained by avoiding the modern classical mannerism that is so common in those kind of releases. It's really worth a listen. Retro electro meets beatz in the ‘hood, enter the world of David Harrow aka Oicho who dwells on the poorly lit streets of the electronic scene where police fear to drive. Halfling opens with “ripper 2 cv”, where one gets the impression of Instinct Ambient label electronics until the beats evoke early Tommy Boy records. Think scrawny, white producers in Compton LA, where chocolate is stuck in their peanut butter. The electronic textures suggest the likes of Taylor Deupree, but that unclean drum machine beat could come from The 2 Live Crew studio, two flavours grooving along and giving off a dreamy, almost futurist vibe. “Sleazy” follows with overtones of dimly lit backstreets with more robotic menace than bored thugs—but there is something retro enough to suggest 70’s-era menace which would be pretty fly for a sci-fi. The following “Sparx” is a ghetto beat tribute to Jean Michelle Jarre’s “Oxygene”, only deftly recut and realigned by Harrow into a more psychedelic experience. Halfling caps off with “Half Rising” which is more like being in a chemical production facility with electrodes gone wild as the listener gets a tour of one vat of mystery solution after another. While this half-pint EP is a mere half-serving, it is not half-baked, rather a nice blend of grime and elegance. An Oreo cookie or coconut ball with a dark chocolate center, either will work but if you take a bite betcha you won’t want just one. This is the first collaboration between two Italian electronic-and-drone artists, both of whose work has been appreciated in its own right. As a new collaboration, it hits the spot on the first attempt. After the relatively simplistic warm textured drone of opener “To Be Invisible”, the main course of the release is 27-minute work “Hypothesis For An End”- a very detailed and acutely planned-out piece of ambient work that melds all sorts of detailed found sounds and atmospheric tones over washes and beds of sustained and organic-sounding drone work. There are the gentlest touches of what may or may not be light industrial recording at the front which gives the piece a sense of time, if not actually of rhythm, and as it unfolds it gently shifts your base consciousness just ever so slightly, brightening and layering up to a rather beautiful if undramatic crescendo. Third track “Third Space” opens fairly abruptly into a more cinematic space, the album’s only real surprise moment, though it settles quite quickly into a concise seven-minute wall of lush noise without much progression and with rather raw bookends. The final relatively short piece “Getting Cold” appropriately adopts a more fragile and icy tone that traces a smart curve that approaches gently and then tails the album away into nothingness. It’s an uncontestable release from two confident artists tracing sonic paths that seem to come easily to them. Well worth checking out if you like your drones both beautiful and complex.